Kayben Farms and Olde Towne Okotoks present the 4th Annual Pumpkin & Scarecrow Festival. Fall is a wonderful time of year to spend with family & friends - and enjoy some fresh air! Visit Kayben Farms & Olde Towne Okotoks for some fall activities and entertainment. 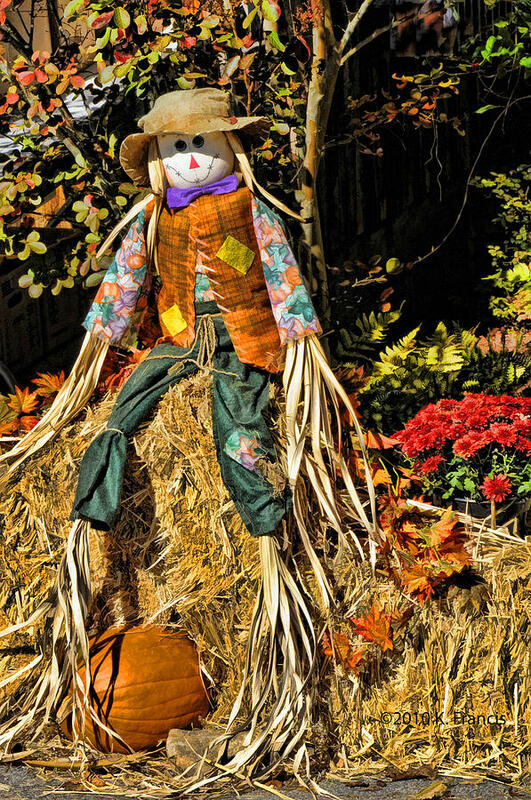 The Scarecrows entered into the contest will be on display throughout Olde Towne Okotoks for exhibit and voting. While you are in Olde Towne Okotoks you can enmjoy many of the boutique shops, cafe's and more. To enter a scarecrow into the contest - click here for more info. Each Saturday in October Kayben Farms will be open from 10 am - 5 pm for fun, family-friendly fall activities like live music, hay rides, pumpkin patch, pumpkin crafts, corn maze & other children's activities. If you are going to be in the Okotoks area, and have also been considering a move to this lovely town - why not check out some real estate for sale while you're here. Email us if you have any questions about the Okotoks area or if you would like to see some homes for sale! Check out our 'Explore Okotoks' page for information about the Town of Okotoks, schools in Okotoks, communities or neighbourhoods in Okotoks and more.